I have been successfully meal prepping for four consecutive weeks now that the football season has ended and we are no longer served lunch at work. Basically, every Sunday I make 5 breakfasts, 5 lunches + 5 dinners for the week ahead. That way, each morning I just grab two containers and go. When I get home from working out after work, I don’t have to worry about making dinner or food for the next day – it’s all ready to go. Now, trust me when I see it sounds better than the reality. I literally spend almost my whole day in the kitchen cooking and portioning and then my husband spends another hour cleaning all the dishes used. Add to that the grocery shopping for the ingredients and it definitely isn’t for everyone. That being said, when I have my weekends off from work – to me, it’s SO worth it. The amount of money we save is crazy. I can prep all 15 meals for about $50 and that’s including meats + organic produce + all clean eating recipe ingredients. Add to that how healthy everything is and the fact that I literally don’t have to think about cooking or dishes for a week straight and it’s perfect for me. 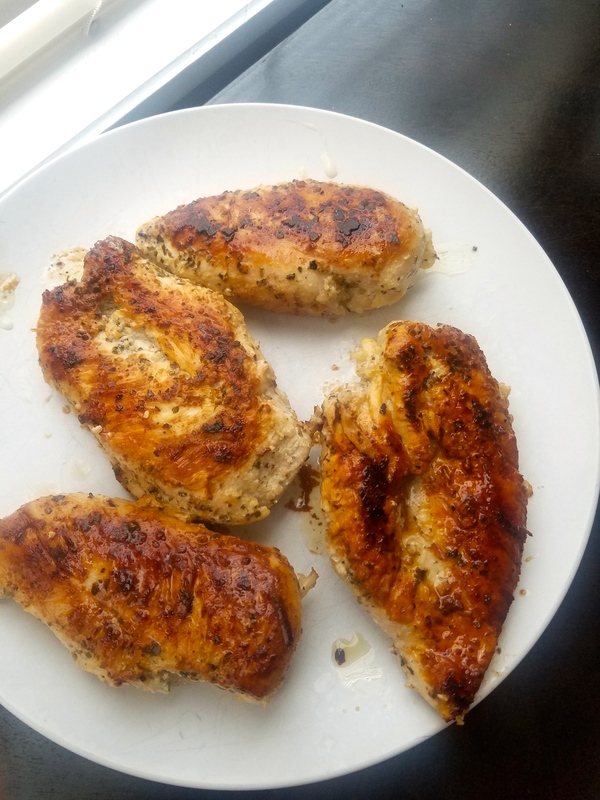 I thought you guys might enjoy me sharing some of my meal prep meals here and then once I’ve posted enough, I can come up with full week plans for you guys who want to meal prep but don’t know where to get started! 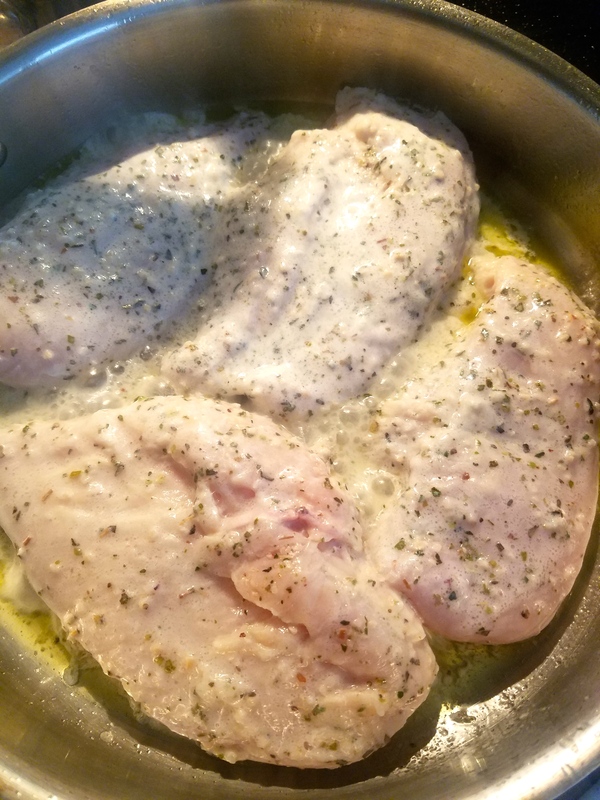 This recipe is one that I followed exactly from this post over on Eazy Peazy Meals. 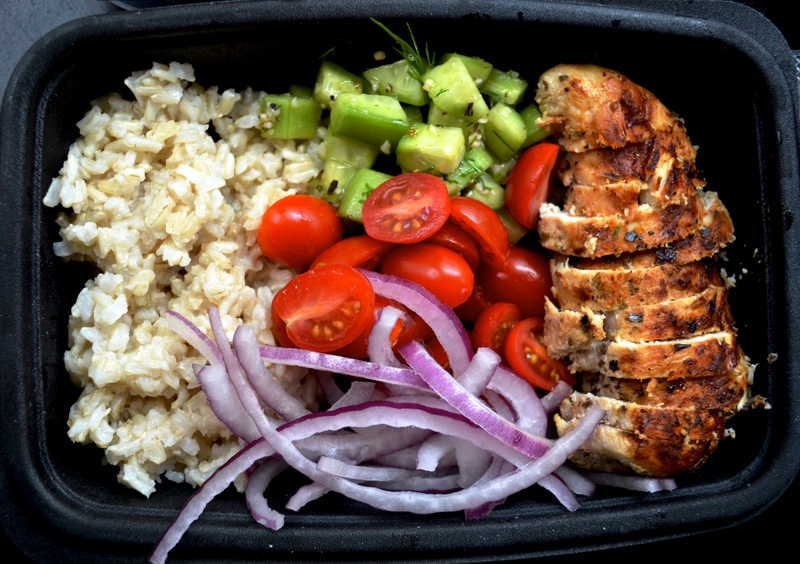 I love recipes that take some not so healthy dishes and make them healthy. That way you don’t feel like you’re giving up anything at all by eating clean + cutting the calories. 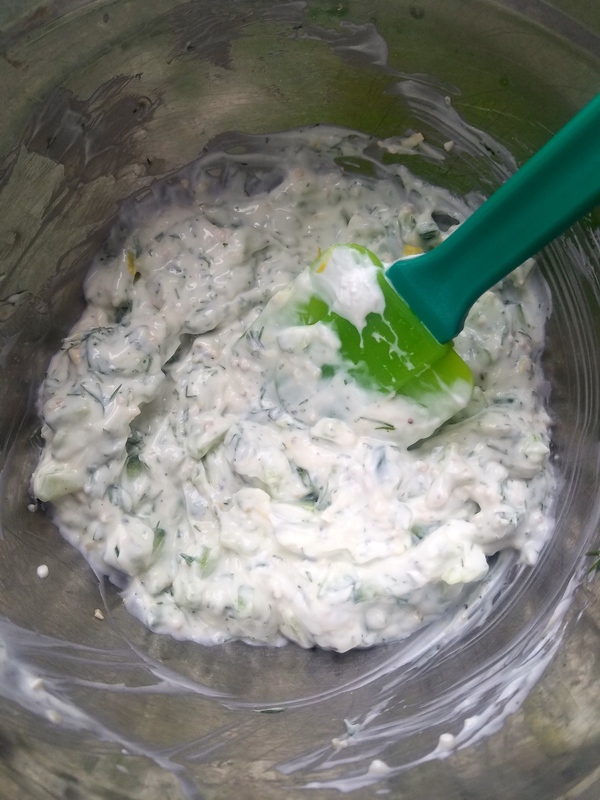 We love getting greek salads and bowls from Rachels but with all the sauces + dressings, the calories and fat can really pile on… this recipe is SO flavorful and delicious and super healthy. 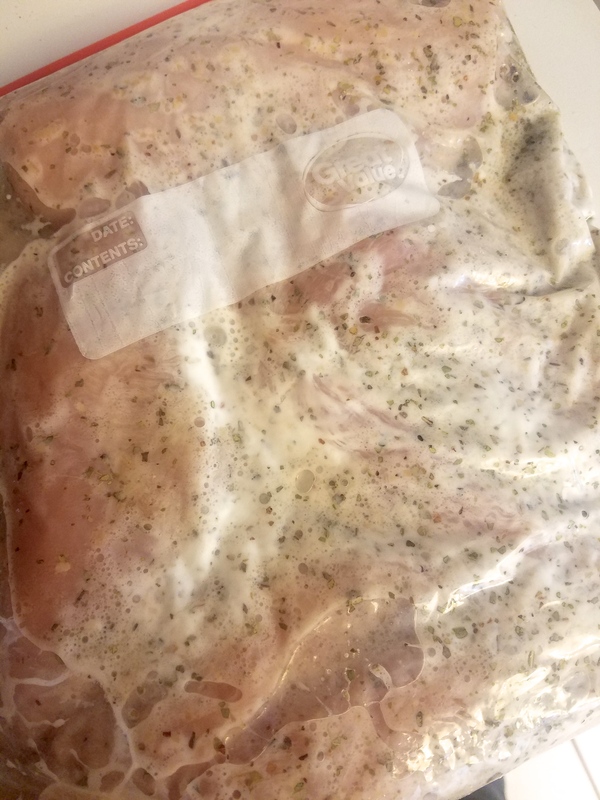 Another thing I liked about this recipe is that not including the time it took to marinate the chicken, I had all four of these meals done + sealed in their containers in under 1 hour. Considering you’re making everything from scratch that’s great! 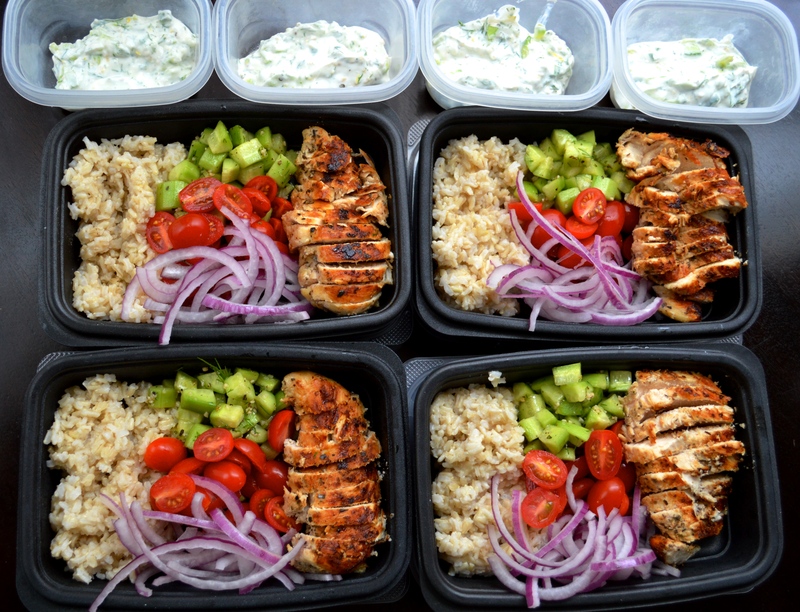 These bowls have brown rice, a greek cucumber salad, grape tomatoes + red onion slices with grilled greek chicken and a tzatziki sauce. 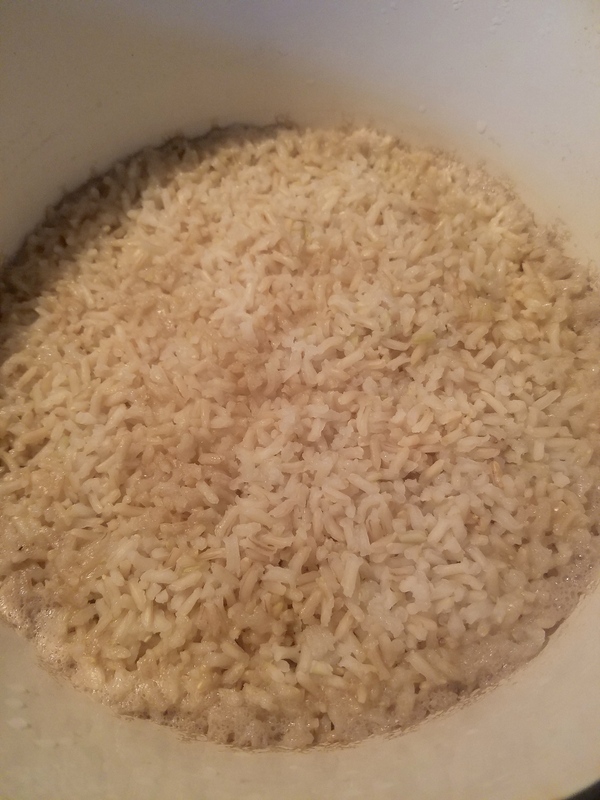 They’re super filling and I have been EXCITED to eat them, which is a definite victory when you’re meal prepping! 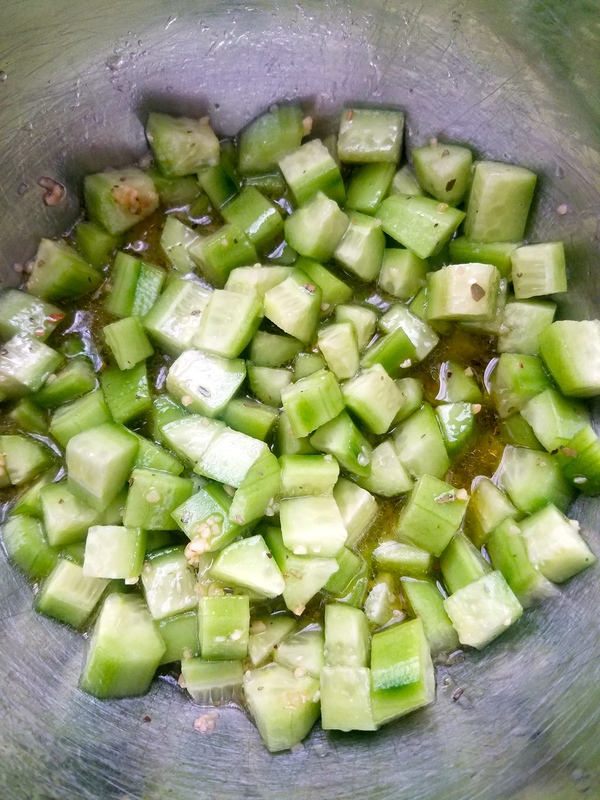 I follow the recipe exactly from the blog I mentioned earlier, so head over there to get the full ingredient list and step-by-step instructions but I’ll show you below what I did! Then I loaded up four containers with my stuff! (I think the blog post did 6 containers). 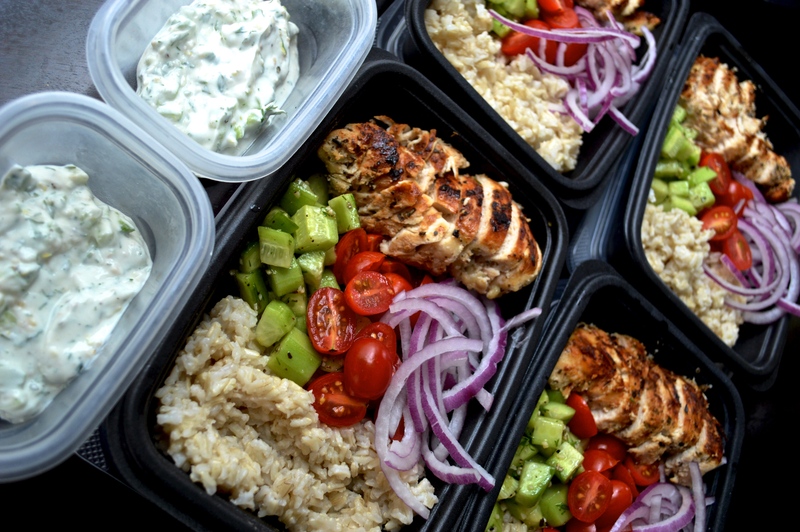 Do you guys have any great/easy meal prep recipes you love, share them with me below… Im always looking to try new things!